Rockstar hasn’t made any single player DLC for Grand Theft Auto V, and this long after the game’s release, it’ll probably never happen. One reason why? The game’s publisher, Take-Two Interactive, keeps bragging about how much money Grand Theft Auto Online is making. They’re predicting GTA Online will make more money in the coming year. Starting with our results for the fiscal third quarter, net revenue was $486.8 million as compared to $954 million in last year’s third quarter, which had benefited from a more extensive release slate. This result exceeded our outlook range of $400 million to $450 million due primarily to stronger than expected revenues from Grand Theft Auto V and Grand Theft Auto Online. In addition, NBA 2K16 exceeded our expectations. It wouldn’t be a surprise if GTA Online was making hundreds of millions of dollars, which miiiiiiiiiight explain why they dropped single player DLC. 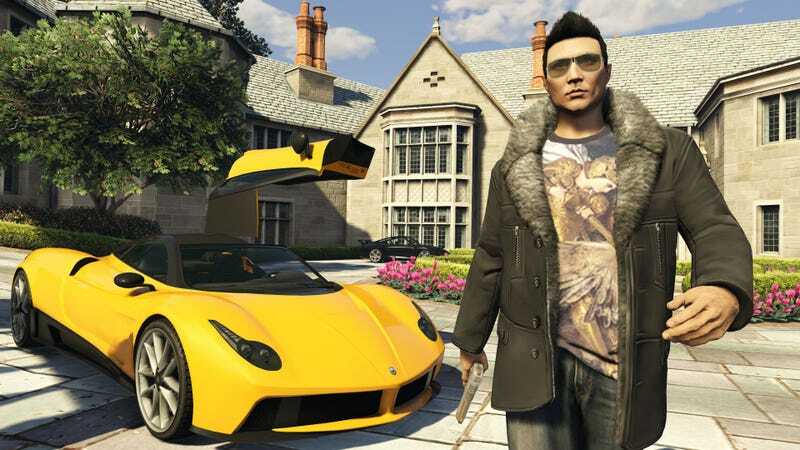 ...the fervor with which players have embraced GTA Online suggests that it can deliver $250 million per year for several more years. Should Take-Two decide to make the game free-to-play for players who have NOT purchased the underlying console game, it is likely that overall revenues could double, and could be sustained for a very long time. Accordingly, we apologize for questioning management’s strategy, and we see merit in the pursuit of an online strategy. I’ve never touched GTA Online, but apparently, lots and lots of other people have.